The manual of the Samsung Galaxy Tab Advanced2 is now available online. 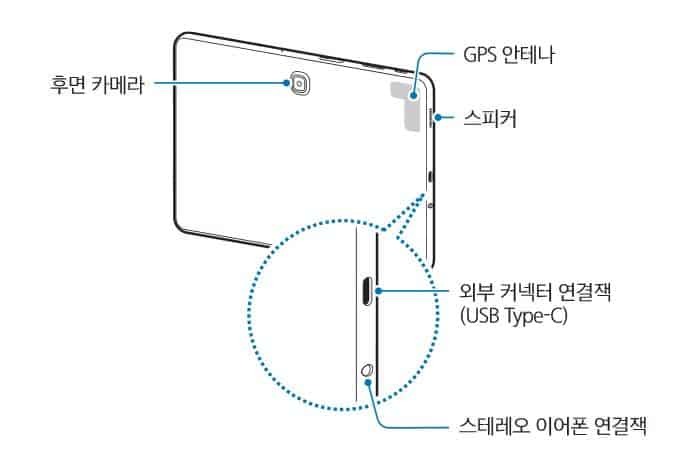 The document, which is written in Korean, includes diagrams that detail the design of the device and screenshots of the software features of the tablet. 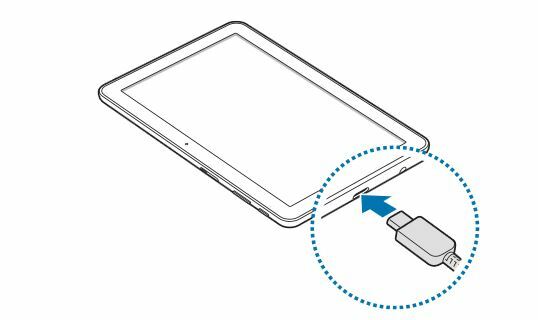 The diagrams show that the Galaxy Tab Advanced2 will include a USB Type-C port for charging and data transfer as well as a 3.5mm headphone jack. 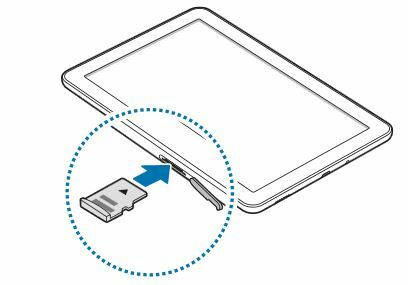 The device also includes a microSD card slot, which means that the tablet supports the expansion of the internal flash storage. Located above the display of the tablet are the front-facing camera and the light sensor. In addition, the tablet does not include physical capacitive buttons, but it instead utilizes on-screen buttons for navigating the user interface. 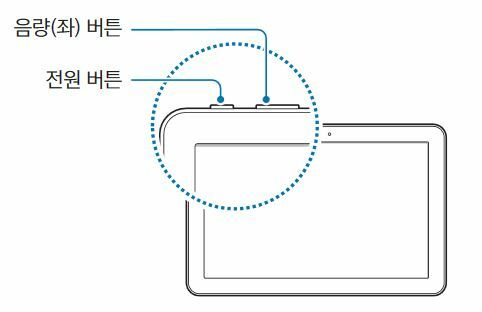 Also according to the manual, a number of applications developed by the South Korean device maker will come pre-installed on the Galaxy Tab Advanced2. These include the Samsung Internet browser, Samsung Notes, Samsung Flow, the SmartThings app, and Bixby Home. 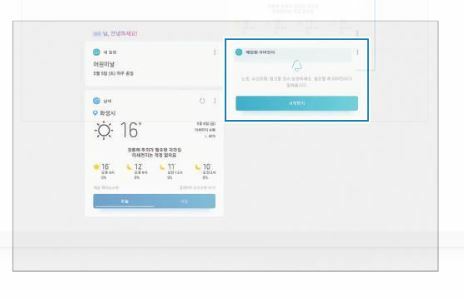 The Samsung Flow app allows people to use their smartphones to unlock their tablets as well as share content and other activities between devices. Meanwhile, the SmartThings app enables users to control their smart home devices using their tablets. The Galaxy Tab Advanced2 also features Dolby Atmos support, which enables the tablet to offer optimized surround-sound effect. The manual also mentions that the Galaxy Tab Advanced2, which is identified with the model number SM-T583, is powered by the Exynos 7870 chipset. This SoC is comprised of an octa-core ARM Cortex A53 CPU running at a maximum clock speed of 1.6GHz and the Mali-T830 GPU. The tablet also ships with a display with a resolution of 1920 by 1200 pixels and an aspect ratio of 16:10. The device can connect to Wi-Fi networks running on both the 2.4GHz and 5GHz frequencies, and it also supports Bluetooth 4.2. The device weighs 525 grams, and it has a length of 250.4 millimeters, a width of 166.2 millimeters, and a thickness of 8.5 millimeters. Meanwhile, a Bluetooth certification released last month claims that this device will ship with Android 8.0 Oreo pre-installed. Aside from the Galaxy Tab Advanced2, it has been reported that there are other tablet offerings that Samsung plans to launch in the near future. These include the Galaxy Tab S4 and the Galaxy Tab A 10.1 (2018). The post Leaked Galaxy Tab Advanced2 Manual Details Design, Specs appeared first on AndroidHeadlines.com |.